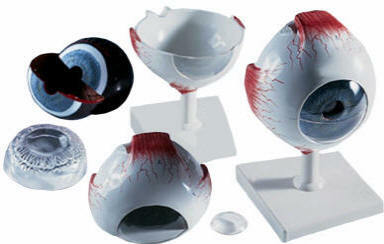 The Giant Eye replica is a great tool to teach-learn the anatomy of the eye! 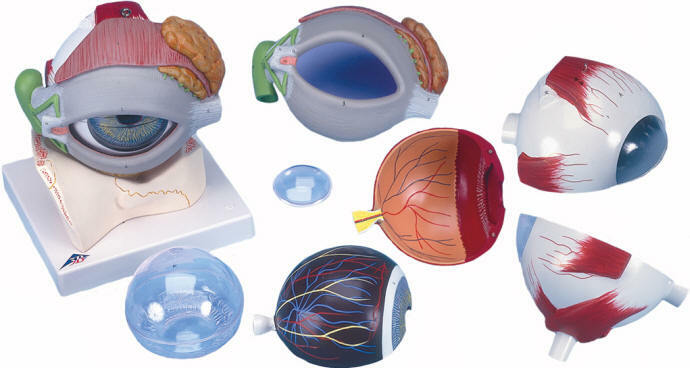 Removable parts of the human eye include: (1) Upper half of the sclera with cornea and eye muscle attachments, (2) Both halves of the choroid with iris and retina, (3) Lens and (4) Vitreous humour. The gigantic high quality eye anatomy model is on a base. 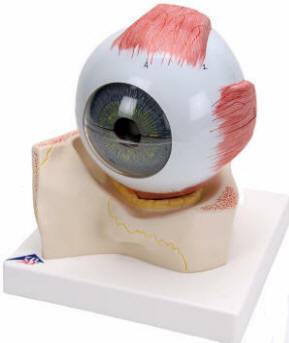 Removable parts of eye include: (1) Upper half of the sclera with cornea and eye muscle attachments, (2) Both halves of choroid with iris and retina, (3) Eye lens, (4) Vitreous humour, (5) Eyelid (6) Lachrymal system and (7) Anatomical features around the eyeball This model is great for studying the anatomy of the human eye! Eye on base of bony orbit.